Antique Icon of St. Simeon of Verkhuturye – 19th c.
SKU: stsimeonv001 SKU: stsimeonv001 Categories: Authentic Antique Icons, Icons of the Saints, Other Iconographer, S. Tags: Simeon of Verkhoturye, the Wonderworker. 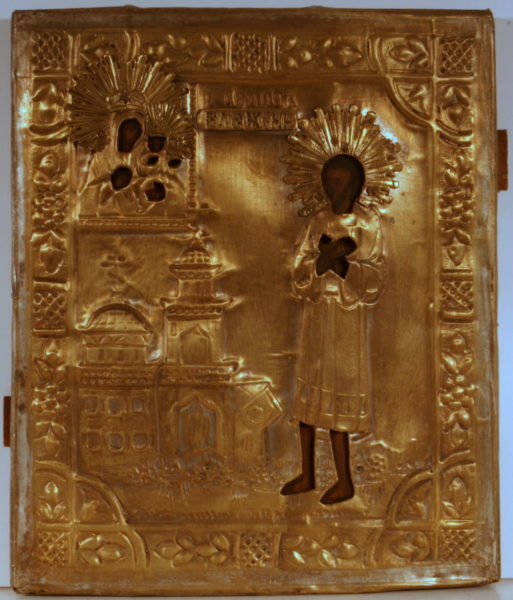 St. Simeon of Verkhuturye – 19th century icon on panel with double splines on reverse. Egg tempera over gesso grounds with brass riza. Russian. Size: 10.4″ x 12.2″ x 1″.